ASK VICKI: Q. Why do people attempt suicide? Q. Why do people attempt suicide? How does someone sink so low in an abyss of darkness and despair that suicide seems to be the only way out? A. A suicide attempt is a clear indication that something is gravely wrong in a person’s life. No matter the race or age of the person; how rich or poor they are, it is true that most people who die by suicide have a mental or emotional disorder. The most common underlying disorder is depression, 30% to 70% of suicide victims suffer from major depression or bipolar disorder. Many (or most) people cannot identify with the person who sees suicide as an option to flee from their life pain. I do understand that pain because I too have suffered with depression all my life. I was depressed as a child. It became my normal. My 20’s were a tumultuous time filled with drugs, alcohol and extremely risky behavior. I was deeply lonely even though there were people around me. One day the pain was too much; my Elavil that I was taking for depression became my vehicle to end this pain. I remember how I began to feel when the medication started causing extreme drowsiness, I became scared and I reached out. A friend arrived and took me to the hospital. I remember people holding me down as I was fighting the procedure to pump my stomach. I remember someone calling out to get the crash cart and the number 40. I later thought maybe it was the top or bottom number of my blood pressure. I woke up in the intensive care area of the psychiatric unit. I felt physically terrible. Emotionally I wasn’t sure. I was in the hospital for 2 weeks and discharged to outpatient therapy, which I desperately needed. I understand people who make that choice. The demons that become too big. The blackness that becomes too dark. But I am thankful that I reached out. It was not the right choice. Anxiety and depression are very real. So is loneliness and despair. Posting the national suicide hotline is a great resource, but I encourage everyone to do more. Talk about it. Encourage employees to use EAP resources. Talk to people – get to know them, express genuine interest, ask questions, follow up, never be too busy to care. Put down your phone, really listen, make eye contact. As a mental health provider, I am often asked what type of therapy I practice. The theory comes from Cognitive Behavior Therapy (CBT) but what I think is more important in helping people find hope again is the real life therapy I practice; acceptance, kindness, non-judgement, encouragement, support and love. These are often deficient in the lives of people who are struggling, I know, I have been there. 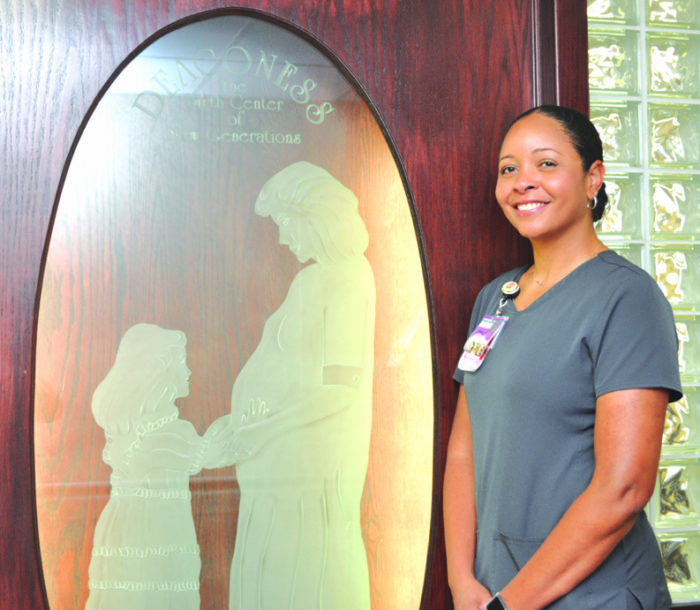 Tanya Bogan, RN, Nurse Leader for the Women’s Center at AllianceHealth Deaconess is a real natural when it comes to caring for the babies in the Neonatal Intensive Care Unit. 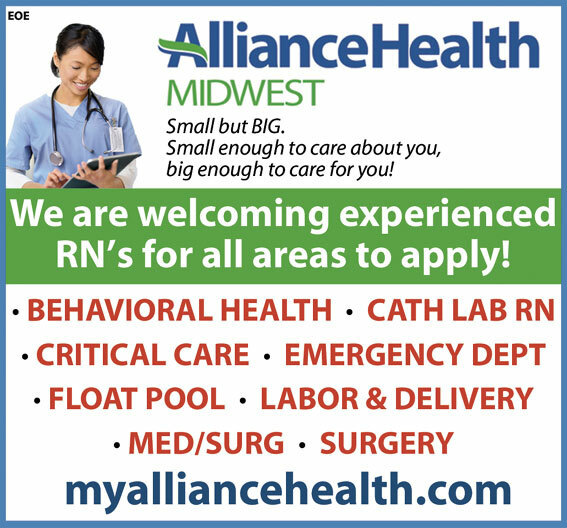 Working at AllianceHealth Deaconess Hospital in the Women’s Center, you will find loving and caring nurses. These are the nurses that work in the Neonatal Intensive Care Unit, taking care of the women and the newborn babies. One outstanding nurse is Tanya Bogan, RN, Nurse Leader. Tanya was born in Jamaica, living there until she was 9 years old when her parents decided to relocate to the states, moving to Fort Lauderdale, Florida. Tanya went to school in Tampa, Florida, graduating from the University of South Florida. She has been a nurse for 16 years and has worked at AllianceHealth Deaconess for 7 years. When I asked Tanya to describe herself in three words, she replied, “reliable, dependable and goofy at times. In this profession, a nurse has to be responsible. They also need a good sense of humor!” she said with a smile. 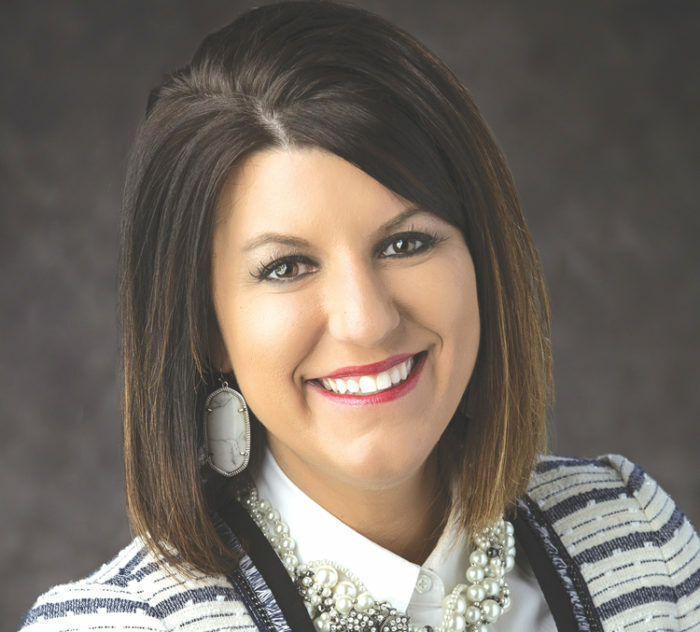 Brittni McGill is the new Chief Nursing Officer for the Norman Regional Health System. Norman Regional Health System has named McGill, MSN, RN, CCRN as its chief nursing officer (CNO). She had previously served as interim co-chief nursing officer at the organization. As chief nurse, McGill will integrate and coordinate a patient-centric nursing strategy with a focus on patient care. 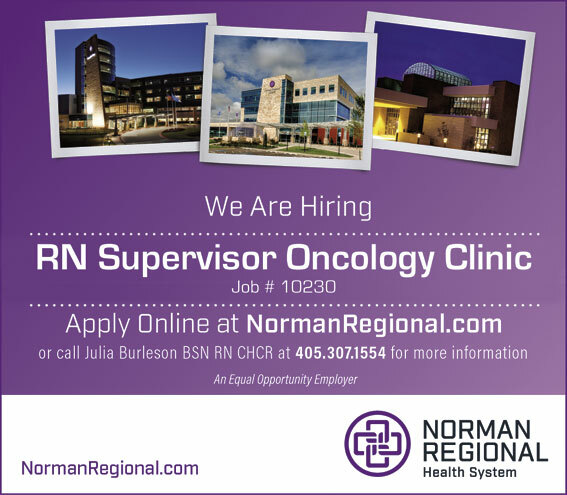 The CNO is responsible for overseeing the care of all patients in Norman Regional facilities. “In addition to having extensive knowledge and experience as a nurse, Brittni is a strong communicator and leader. 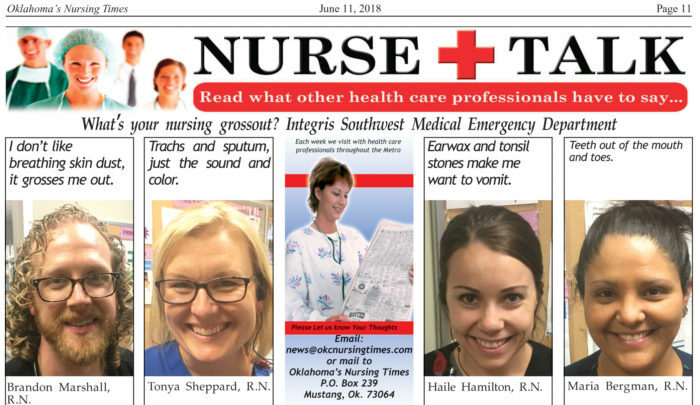 She represents nursing as a discipline, but more importantly gives a voice to our patients,” said Richie Splitt, Norman Regional president and CEO. The chief nurse is also responsible for supervising nurses and nurse leadership, facilitating the design and implementing the delivery of safe and high-quality patient care, and recommending strategies to improve health and wellness. “I’m committed to the growth and professional development of our wonderful team of healers at Norman Regional,” McGill said. During her time as interim CNO, McGill standardized many patient care areas, was part of a successful Joint Commission Accreditation survey, led the expansion of the vascular access specialist team, and restructured clinical education. She also brought new services on board at the health system including the recruitment of a robotically-trained cardiovascular and thoracic surgeon and the opening of a new hybrid operating room and cath lab. McGill earned her Masters of Science in Nursing Administration from the University of Texas at Arlington. 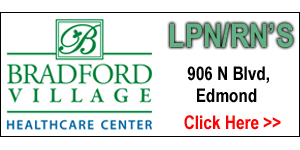 She earned her Bachelor of Science in Nursing at the University of Oklahoma Health Sciences Center. She is a nationally certified critical care nurse. McGill began her career as a nurse at the Neonatal Intensive Care Unit and Pediatric Intensive Care Unit at OU Children’s Hospital. In 2007, she joined the team at the Norman Regional HealthPlex’s Neonatal Intensive Care Unit and later transitioned through multiple leadership roles within the health system. In 2014, McGill became the director of nursing at The Children’s Center Rehabilitation Hospital where she directed and oversaw the nursing department. McGill rejoined Norman Regional as the Cardiovascular Service Line director, where she was responsible for ensuring high standards of cardiovascular care through multiple units, departments and services. 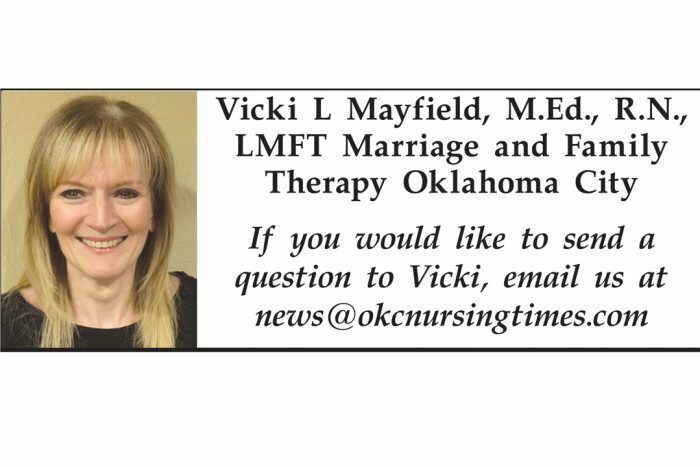 She serves on the board for the State of Oklahoma’s Chapter of the American College of Healthcare Executives and the Virtue Center in Norman. She had been serving as interim co-chief nurse with Susie Graves, RN, since 2017. As one of the few remaining municipally-owned hospitals left in our state, Norman Regional Health System has several advantages as well as challenges in the corporate-dominated hospital market. McGill quickly points to a rich pool of clinicians, termed Healers, as her best asset coming into the new role. As the health system looks to bring all of its hospital service offerings under one campus in Norman, McGill is focused on setting the foundation with collaboration and a greater understanding of how each unit works with others. McGill has a nursing household with husband Matt working as a nurse practitioner and clinical nurse specialist specializing in infectious diseases. * A successful Joint Commission survey that resulted in a number of positives and requests for the health system to share its practices with other hospitals. * An increased focus by the Vascular Access Specialty Team in spearheading initiatives that have helped the system reduce its number of healthcare acquired infections. 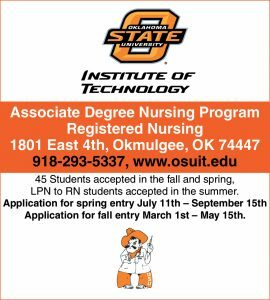 * The development of the only nurse residency program of its kind in the state that mentors new nurses during their first year. “I think the little things are so very important – connecting with the patients, being solutions-oriented and going above and beyond to meet those needs,” McGill said. Giving up her beach life in California, Laura Shodall, BSN enjoys educating new moms on the care of their babies in the Women’s Unit at Integris Southwest in Oklahoma City, OK.
At Integris Southwest, you will find Laura Shodall, BSN, working in the Women’s Unit, specifically working with women after delivery. Laura spends time educating and helping women with their new arrival. Laura grew up in Redondo Beach, California, which is a beach town outside of Los Angeles. In 2012, she moved to Oklahoma to go to school at Oklahoma Christian University where she received her BSN. “I love working in the Women’s Center,” Laura comments. 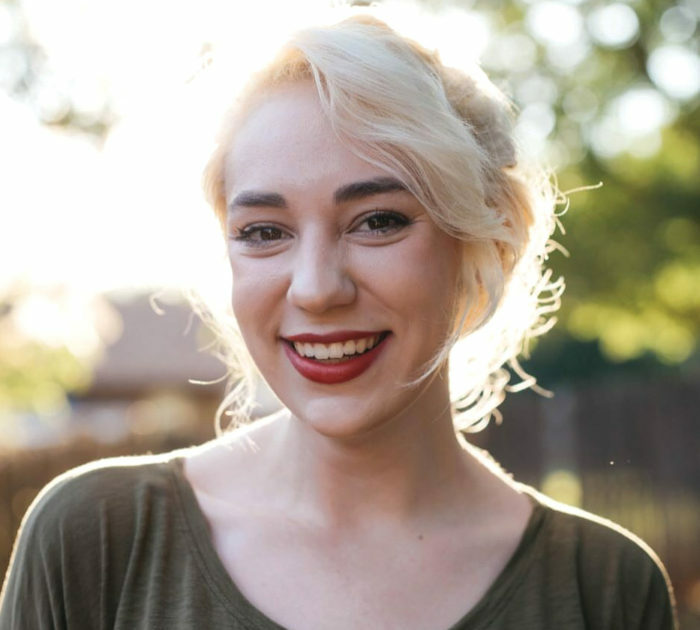 “I wanted to be a nurse tech in college but I was so busy with nursing school, my political science minor and music commitments to keep my music scholarship, I’ll have to admit I was a busy bee!” she added. 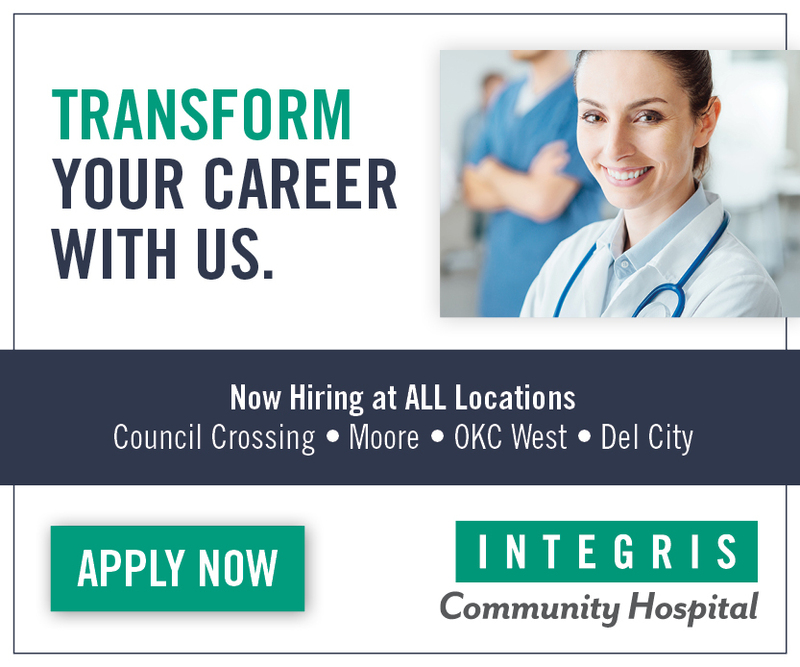 “I enjoy working here at Integris Southwest. My favorite thing about my job is that I get to ensure a good start for a baby. During the baby’s first few days of life, I make sure that the baby is held, swaddled, fed and being handled safely. I can never be sure what life is like post hospital for these babies, and now and again, I worry, but as long as they’re my patients, I take care of them as if they were my own. I love educating and helping my new moms at this very stressful but joyful time in their lives, which is leading to happy and healthy babies,” Laura said. Laura’s advice to others going into the medical field would be to… “Prepare for a long life of learning. You never truly stop learning once you get out of school. Evidence based practice is so important. You find yourself flipping through articles just like you did before. You owe it to yourself and your patients to know current research recommendations, so be ready to read and study again!”When Laura is not working, her hobbies include going to movies, board games, traveling, reading, watching baseball and spending time with her friends. She also has a cat named Duck. “My greatest reward as a nurse is helping new moms that otherwise would have been frightened, confused or anxious during their post-birth stay. Sometimes, all it takes is a gentle touch or a reassurance that they are doing a great job. I am rewarded just knowing that I give my patients the knowledge and confidence to start their amazing journey of motherhood,” Laura said, with a smile. 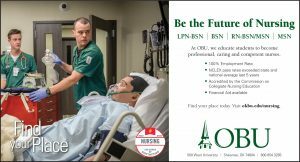 Take your nursing career to new heights. June 28 | 4:00 – 8:00 p.m. 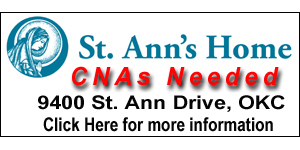 Experienced nurses are invited to 918 Nurses’ Night, a social event sponsored by Saint Francis Health System. Come mingle with fellow nursing professionals while enjoying wine, beer and appetizers. 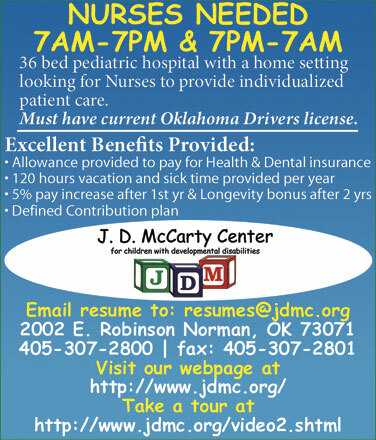 Door prizes will be offered, and representatives will be on hand to answer any questions you may have about working for Oklahoma’s largest healthcare provider. 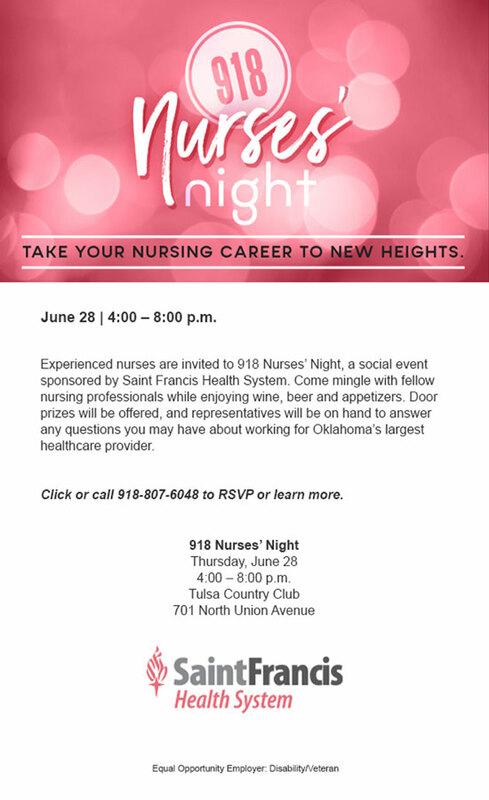 To RSVP or learn more, visit saintfrancis.com/918nursesnight or call 918-807-6048. Pregnancy and infant loss organization, Now I Lay Me Down to Sleep (NILMDTS) operates nationwide, providing heirloom remembrance portraits to parents suffering the loss of a baby. NILMDTS CEO, Gina Harris along with Randy Taylor of Taylor Made Photography will host a photography and lighting workshop on June 18, 2018 to recruit and train photographers to better serve Oklahoma families. The Oklahoma workshop marks the 10th anniversary of the death of Harris’s son. Harris and native Oklahoman husband, Rob, return to Oklahoma City to pay tribute to their son Ethan they lost a decade ago. The loss of Ethan was their second loss after their first son David died at birth in 2007. The couple was gifted with complimentary portraits of their son David by NILMDTS. They did not seek out a photographer for Ethan because they felt his condition was too severe. “As bereaved parents we know firsthand the healing power of having portraits of our son David. Not having photographs of Ethan has made the healing journey more difficult. I only wish we would have captured something of Ethan. Even if it were just his hands and feet, it would have been instrumental in our healing and documenting Ethan’s life,” said Gina Harris. The photography workshops were created to recruit and retain area photographers; helping to ensure NILMDTS services are available to future families set to endure the loss of their unborn or infant child. The NILMDTS Photography and Lighting Workshop has been crafted to not only enhance your professional photography abilities but allow participants to give back in a powerful way. Conducted within context of a NILMDTS session, the key elements of this workshop include: photograph composition, posing, focusing, and lighting. While these skills are taught within the framework of a NILMDTS session, these skills can transfer across a variety scenarios that photographers may encounter. At the completion of this workshop, participants will leave with an expanded skill set and an understanding of what skills you need to be approved as NILMDTS photographer. “I cannot think of a better way to celebrate Ethan on what would be his tenth birthday by hosting a training so we can increase the number of photographers and other volunteers to serve bereaved families in their most devastating moments,” said Gina Harris. Taylor is a member of the NILMDTS board of directors and is hosting this workshop at his studio because of the need in Oklahoma to have more photographers. In addition to photographers, NILMDTS is in need of non-photographer volunteers as well. If you are interested in being part of the Oklahoma volunteer team, you are encouraged to attend the first hour of the workshop. Maddux’s parents, Mike and Cheryl Haggard had to make the excruciating decision to take him off life support. Before they did, they called Denver area photographer Sandy Puc’ to take black and white portraits of them cradling their son. Puc’ photographed the couple with Maddux at the hospital before he was removed from life support and after — when he was free from the tubes and the wires that had sustained him. Those tender photographs documenting Maddux’s eternal connection with his parents inspired Cheryl Haggard and Sandy Puc’ to create NILMDTS. With nearly 1,500 active volunteers around the world, NILMDTS reaches all 50 states and has been or is present in 40 countries worldwide. Since 2005, NILMDTS has photographed more than 40,0000 babies and in 2017 more than 4,000 families were gifted remembrance portraits. 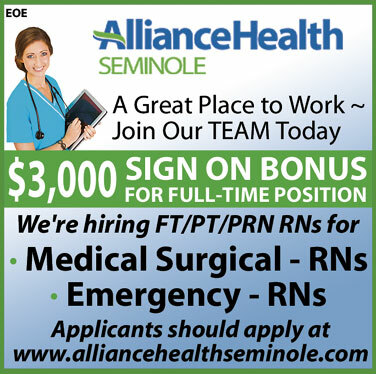 36 bed pediatric hospital with a home setting looking for Nurses to provide individualized patient care. Must have current Oklahoma Drivers license. Q. I am single and my life is good but I desire (not need) to have a partner to spend time and enjoy life together. I sometimes feel lonely and worry that maybe I will never have someone. What do you think? A. I think what you desire is normal. I don’t know what your past experiences with relationships has been but often times being single is an awesome time to heal from past wounds, find a deeper relationship with yourself and just take a breather. I think the reality with your question lies in who we choose and why we choose them. If you are looking for love “to complete you” then you might be setting yourself up for disappointment. We shouldn’t be looking for our “better half,” we want to look for someone who will enrich our life. Something that is troubling in today’s relationships is the speed in which they progress. “I like you, I love you” can occur within days or weeks. What happened to the development of the “friendship.” It appears that many people have lost the art of the friendship, i.e., getting to know each other by asking questions and sharing information. Spending hours talking. (not by text!!) Face to face. While in this single time of your life think about your previous relationships. If female, draw pictures of the men who have been in your life. List all their positive and negative characteristics. Also include your father. Are there any common themes? Do you continue to attract to what is familiar? (If you are male, do the same thing with the women who have been in your life, including your mother). This is very powerful therapy homework. If familiar hurts you, change must occur. Try to have several activities and friendships that you enjoy. Build a life around doing things and being around people who make you feel good. Live life and see what happens. It is very normal to be a single person and hope someone really special comes into your life. So while you think about it happening go to that concert, take a friend to the art show, walk around the lake and just be single. · Anthony Brindisi (NY-22) Brindisi helped lead the effort to pass legislation implementing Safe Patient Handling and Mobility Guidelines during his time in the New York state legislature. As the brother of an emergency room nurse, he has a deep understanding of the challenges that nurses face on a daily basis, and has made improving health care a key component of his campaign. · Angie Craig (MN-2) Craig brings more than 20 years of experience working in health care to her campaign, and has focused on reducing health care-related costs and expanding access for families across her district. · Katie Hill (CA-25) Hill learned about the importance of the nursing profession from her mother, and has modeled this example of compassion and care through her work as a social worker and nonprofit executive. Her experience will serve her well as she works to craft effective health policy as a member of the 116th Congress. · Chrissy Houlahan (PA-6) Houlahan is the sister of an emergency room nurse and an experienced small business owner who keenly understands the challenges involved with health care system reform as well as the need for strong safe patient handling and mobility guidelines. · Dusty Johnson (SD-AL) Johnson was responsible for overseeing the South Dakota State Employee Health Care Plan in his capacity as chief of staff to Governor Dennis Daugaard, where he heard and implemented input from health care professionals across the state, including nurses. He is dedicated to bringing stability to a health care market that has experienced a great deal of uncertainty in the past year and a half. · Andy Kim (NJ-3) Kim is running to increase access to affordable health care, and as the son of a nurse he has worked diligently to understand the needs and priorities of both his constituents and nurses working in his district. · Dr. Heather Ross, PhD, DNP (AZ-6) Dr. Ross is a nurse practitioner, professor, and scientist whose real-world experience will serve her well as a Member of Congress. She will bring a much-needed voice of expertise to ongoing discussions about how best to reform the health care system. · Greg Stanton (AZ-9) Stanton has a demonstrated history of bipartisanship as mayor of Phoenix, where he led the model to expand Medicaid for his constituents, later used to expand Medicaid statewide. · Lauren Underwood (IL-14) Underwood is a registered nurse, former Senior Adviser with the Department of Health and Human Services, and public health expert who will quickly become a leader on nursing issues when she joins the 116th Congress. · Jeff Van Drew (NJ-2) Van Drew currently serves in the New Jersey Senate. In his capacity as a health care provider, he will serve as a leader on issues concerning the expansion of scope of practice. He has long enjoyed a collaborative working relationship with the nurses who live and work in his district. Join us on Friday, June 15 to watch the OKC Dodgers take on the Salt Lake Bees at the Chickasaw Bricktown Ballpark! Gates open at 6 pm, with the first pitch at 7:05. Tickets are $20 and include exclusive access to the left field Budweiser Deck, dinner, and drinks – plus the Friday night fireworks show! 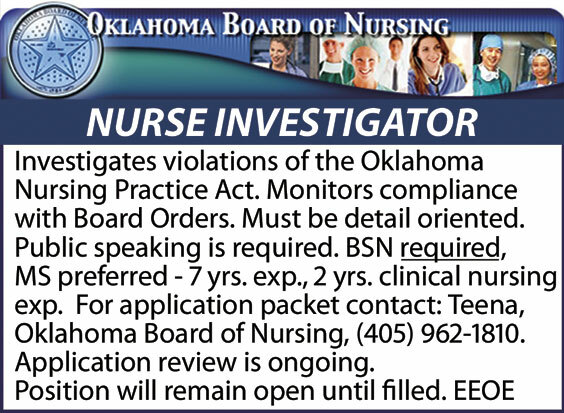 Investigates violations of the Oklahoma Nursing Practice Act. Monitors compliance with Board Orders. Must be detail oriented. Public speaking is required. 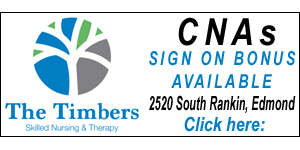 BSN required, MS preferred – 7 yrs. exp., 2 yrs. 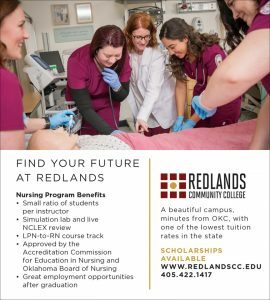 clinical nursing exp. DHS Director Ed Lake has named Millie Carpenter interim director of Child Welfare Services (CWS). Carpenter has served as a Deputy Director within the division since 2012 and has worked in numerous positions within child welfare services spanning her 24-year career with the agency. 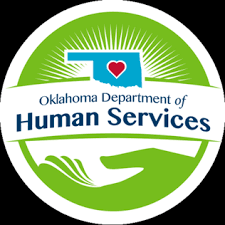 As deputy director, Carpenter has been responsible for implementing key components of the Oklahoma Pinnacle Plan relating to permanency and child well-being programs, overseeing Child Abuse Prevention and Protection, Permanency Planning, and Specialized Placements and Partnerships programs, as well as the Child Abuse and Neglect Hotline, the OK-Trauma Assessment and Service Center Collaborative grant, and partnerships with the Oklahoma Department of Mental Health and Substance Abuse Services.